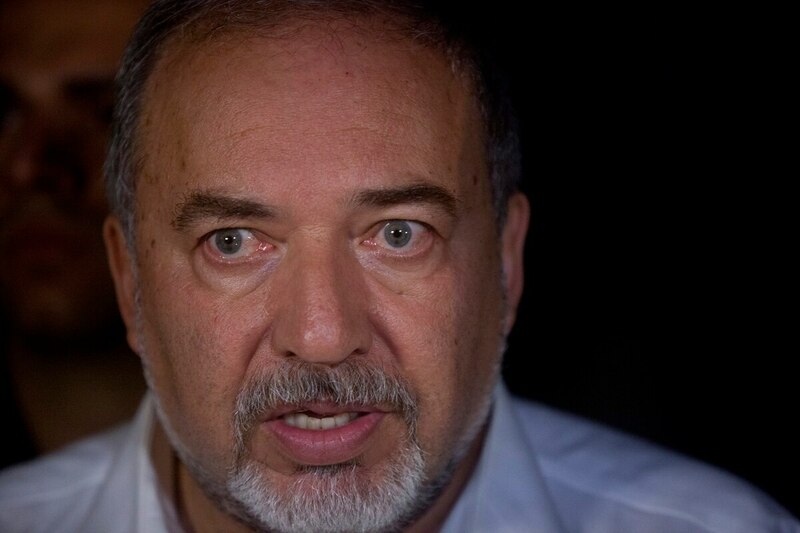 TEL AVIV, Israel ― For Israeli Defense Minister Avigdor Liberman, Monday morning’s clash between Syrian anti-aircraft missiles and Israeli air power could not have come at a better time, just hours before a scheduled meeting in Israel with Russian Defense Minister Sergei Shoigu over what Liberman is calling “the Lebanonization” of Syria. In the Oct. 16 clash, Israeli fighter jets ― deployed in what the Israeli military described as “a routine reconnaissance mission over Lebanon” ― were targeted by a Syrian SA-5 anti-aircraft battery located some 50 kilometers east of Damascus. And while “more than one” of the Israeli manned fighters were “within the effective range” of the missiles, all Israeli aircraft returned safely to their home bases. In response, however, Israel launched another sortie that attacked the battery with four land-attack weapons. “According to preliminary bomb damage assessment, the Syrian battery was incapacitated,” Lt. Col. Jonathan Conricus, head of the Israel Defense Forces‘ spokesperson unit, told reporters in Israel. It was the first time since the start of the Syrian civil war that Israeli fighters flying in Lebanese skies were targeted by Syrian anti-aircraft hardware. In mid-March, Israeli fighters returning from a strategic strike operation in Syria were targeted by the same regime-controlled SA-5 battery as they flew over Jordan en route to their home bases. In that clash, a Syrian-launched SA-5 triggered Israel’s missile defense network ― which, in turn, launched an Arrow-2 missile to intercept what it thought was a threat to the Israeli homefront. For Shoigu’s first official visit to Israel, Liberman and Prime Minister Benjamin Netanyahu had planned to press Moscow for assurances that it would not allow Iranian proxies allied with its partner in Damascus to establish a permanent presence along Israel’s Golan Heights border. Israel is counting on continued “deconfliction and preventive coordination” with Russia, which essentially controls the Syrian skies in which Israel frequently operates in order to stop the flow of arms from reaching Hezbollah arsenals in Lebanon. President Trump's proposed alternative would seek to include Iran's ballistic missiles, destabilizing activities in amended sanctions law. And once the battle against the Islamic State group is concluded in Syria, Israel would seek Moscow’s support for a demilitarized zone of several dozen kilometers beyond its northern border. That’s why Monday morning’s showdown, experts say, will strengthen Israel’s case that Syria and Lebanon have morphed into a single theater of operations; and without firm discipline from Moscow, Israel will be compelled to act against Russia’s ally in Damascus. Just last week, Liberman told soldiers that Israel will face one, single theater of operations in its next war in the north. “If once we talked about the Lebanese theater, there’s no longer such a thing. There’s the northern theater. With all the developments, it will be one theater, with Syria and Lebanon together with Hezbollah, the Assad regime, and all those who assist the Assad regime,” Liberman said. Uzi Rabi, a professor at Tel Aviv University’s Moshe Dayan Center for Middle Eastern and African Studies, said Israel’s attack on the Syrian anti-aircraft battery sent a strong message not only to the Syrian regime, but to its Russian patrons. In an Oct. 16 interview with Israel’s Ynet news service, Rabi said the action must be viewed in the larger context of Russia’s new role in the region, as well as its ability to influence bad actors like Iran. Conricus, the IDF spokesman, told reporters that the Russians were notified “in real time, immediately before” Israel’s attack on the Syrian anti-aircraft battery. He said Shoigu would get “a full briefing on the matter” during his meeting at Israel’s Defense Ministry. “This was obviously not a preplanned event. We responded to Syrian fire, and we hold the Syrian regime responsible for any fire and any attacks originating from Syria,” he said. Later this week, Liberman is scheduled to fly to Washington to meet with U.S. Defense Secretary Jim Mattis to discuss strengthened bilateral cooperation and “coordinated action … pertaining to our concerns about Iranian aggression in the region,” a Defense Ministry source told Defense News. The Defense Ministry source declined to say whether Liberman intended to raise Israel’s concerns about expanded U.S. security assistance to the Lebanese Armed Forces, which includes joint training, military aid and a growing list of sophisticated military hardware. However, in the same Oct. 11 address to soldiers, Liberman did not mask his contempt for the ostensible role of the U.S.-supported Lebanese Armed Forces as a counterweight to Hezbollah.